Transcribing the letters of M. Carey Thomas has been, at least, an interesting experience. In the beginning of my work, which consisted and consists still of transcribing Thomas’ many personal letters to Mary Garrett, her good ‘friend’ and supposed lover, I found myself tangled in her Ramen-like script, frazzled by her tendency to close her letters or conclude post scripts by writing vertically over the already horizontally written text, and endlessly confused by her inconsistent punctuation. I was also simultaneously thrilled—to be holding these letters written by a figure well known to me as well as all Bryn Mawr students from the day we step on campus as prospective students. The letters that imply so much more than what is explicitly expressed, becoming to me through the process of transcription living documents. 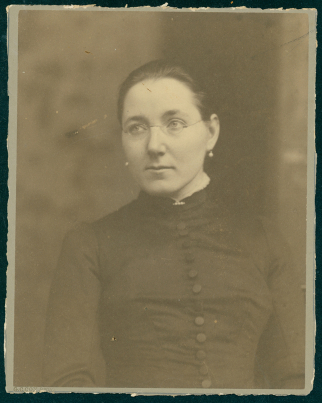 I also wondered as to how these personal letters were relevant to the Greenfield project—one focusing on compiling a digitized collection of resources regarding the history of women’s education which I assumed would exclusively want more of Thomas’ academic papers and proceedings. As I transcribed, which requires reading the content closely especially in the case of these letters, I found that before there is contribution, there is character. 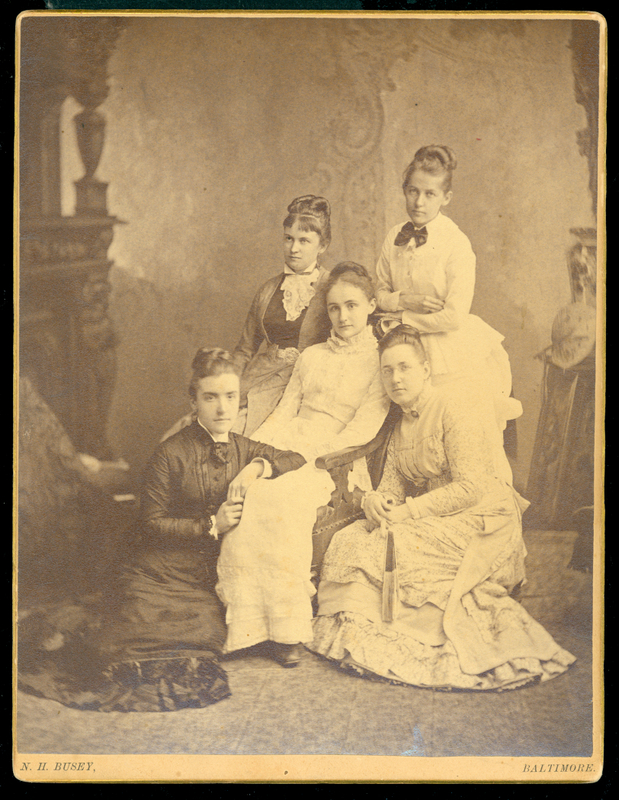 That is to say that it is crucial to understand the driving ambition and persistence of M. Carey Thomas which was essential in leading up to her contributions to women’s education and particularly women’s place in the early history of their higher education. These letters, despite their personal tone, definitely capture Thomas’ personality and shine a lot of light on a character that I found, as a current student, has transcended time in this small space. On campus there is a generic perception of M. Carey Thomas—her ghost lingers within the confines of the cloisters where her ashes are spread, she curls her ghostly toes in Taft fountain, which was once the exclusive Deanery garden. 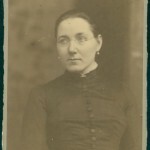 She stares down sternly from her portrait in Thomas Great Hall, the lead image for this post. Everyone on campus knows about M. Carey Thomas. She’s a legend and someone that over time has been transformed into a fantastical concept. It isn’t difficult to see why M. Carey Thomas to me was just an idea, an elusive aura—and I never bothered to explore why and how Thomas had managed to leave such a lasting impression. I see now in my close readings that Thomas initially became an idealized figure for having been a woman who from a very young age fought tirelessly to no end for her right and the rights of all women to receive an education if not equal to then superior to that of men. 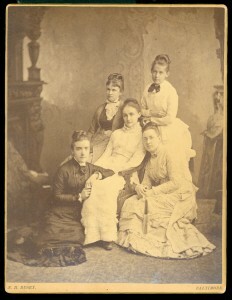 Her letters reveal the details of Thomas happily struggling to attain her own education alongside her close group of friends, which included Mary Garrett. As much as she is a well-known figure on the campus where she became the first woman to be a college president—no one here really knows what she stood for and how her personality still impacts this community. This first struck me as I stared into the John Singer Sargent painting of Thomas in Canaday’s Gallery, noting her strong brow and unrelenting glare. In other portraits of famous ladies painted by Sargent, the women painted are surrounded by opulence and props that clearly allude to their wealth and status. 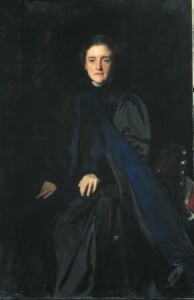 Thomas’ portrait portrays her in the traditional academic robe with an indigo sash—all effective in conveying Thomas’ identity as a strong faced academic woman who meant business, something unheard of in her time. This is an identity that continues to live on this campus—the archetype for what constitutes the ‘Bryn Mawr Woman’ is founded on the character of Thomas, one who would not accept ‘no’ for an answer and who would almost always compromise, if it was to her convenience. I believe that even our sense of community working for the empowerment of each other, with each other, is one derived from Thomas’ own model of sorority with her group of friends with whom she met every Friday (and is referred to in her letters as “Friday Nights”) where politics and reform were discussed and a course of action was plotted. The way that Thomas refers to these meetings and the serious and passionate tone she takes on when addressing this group of friends is still the tone that thrives in our everyday interactions with one another on this campus. In reading Thomas’ letters there is a sense of her that is very different from the mysterious identity imposed on her by time and forgetfulness. She is more than a figurehead—more than a magical time-transcending aura that permeates anything and everything Bryn Mawr. Digitizing these letters is vital to reinstating Thomas’ personhood—bringing to life the reality of her personality in the light of her contributions. Coming in contact with these letters has made the distance that surrounds M.C. Thomas become a little bit shorter every pen mark I familiarize myself with—and I hope that by expanding accessibility this distance can be bridged for others. 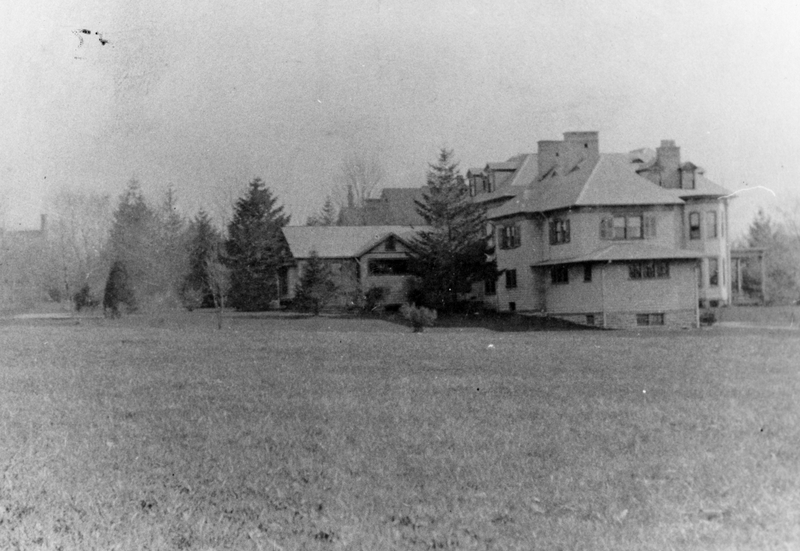 This entry was posted in News and tagged Connecting the past with the present, M. Carey Thomas, Mamie Gwinn, Mary Garrett, Posts from students by Jennifer Redmond. Bookmark the permalink.